Our Great Futures Society includes those individuals who give to the Clubs on a monthly basis. Your monthly investment allows us to serve the kids of today and have a plan to serve those of tomorrow. With a gift of just $10 or more a month, you can help inspire and empower youth to build a better future. Thanks to you, we can continue to provide nutritious meals, help with homework and support essential staff mentors. The monthly giving program automatically transfers your donation from your credit card to Boys & Girls Clubs of Whatcom County on the same day each month. Click here to start helping kids immediately on an continued basis. Lynden High School cheerleaders visit the Clubhouse. Celebrating Dr. Suess’ birthday with plenty of good books. Blaine Club members get a lesson in photography from video engineer, Conor O’Keefe. Blowing bubbles in Lynden on a sunny day. Bellingham teens help out at Lighthouse Mission. 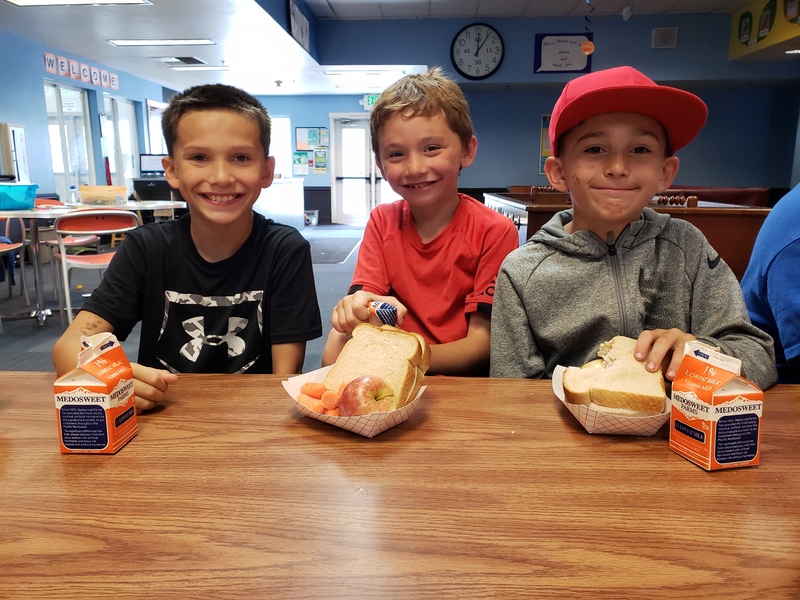 Enjoying lunch at the Blaine Clubhouse the first week of summer program. Max and Liam celebrate their Youth of the Year win at the January 2018 competition. Bellingham Club members enjoy shooting hoops in their gym. Allows one child play their favorite sport for one season. Provides a nutritious snack every day after school for one child. Supports homework help and tutoring for an at-risk child for one hour, every day after school. Funds two field trips to local college campuses for teens.